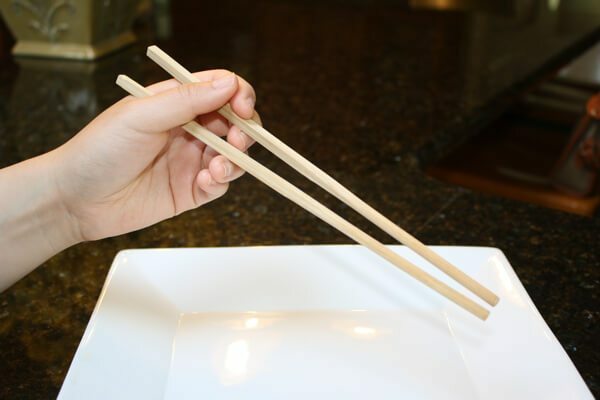 Not all Asian countries use chopsticks as their primary cutlery. They are mostly used in Chinese, Japanese or Korean countries, but not in India. Still, when you decide to go to a traditional Chinese restaurant and ask for the fork, everyone will start staring at you like you don’t belong there. I don’t understand why? I don’t understand why the hell I need to learn how to use chopsticks? When I’ve options to use a fork or spoon, I would use it. But then, I watched the “Karate Kid,” in which Mr. Miyagi showed his chopsticks skills. That man can catch a fly with the chopsticks. To be honest, I decided to be a rebel who’ll never use chopsticks and go against the custom of eating ramen with a spoon. But then seeing Mr. Miyagi doing all that, I was convinced to learn the art of using sticks that can even catch a fly in mid-air. 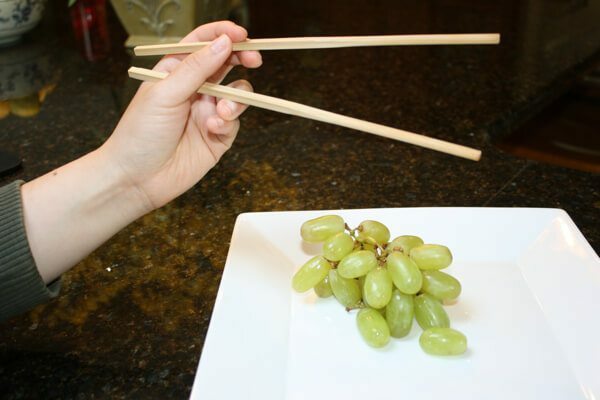 So, if you also want to learn the technique of using chopsticks, continue reading this step-by-step guide on how to use chopsticks. Catching flies with chopsticks is not an easy task. 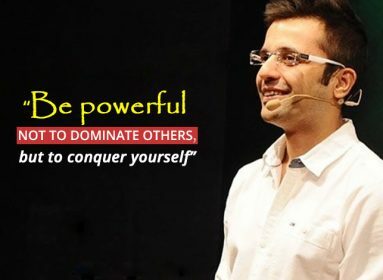 You need the complete power of your right arm, so use it to pick a chopstick and hold it between the thumb and index finger of your dominant hand. I know, it looks weird in your hand, but don’t worry just bend your ring finger and your pinky finger underneath the chopstick to provide it support. Now, it’s time to hold the other chopstick. Pick it up and grip it between your thumb, index and middle finger. 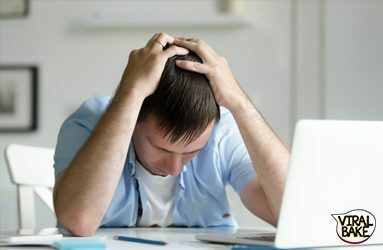 If you are having difficulties just try and hold it like you hold a pen. It looks better now, right? Just make sure that your middle finger is underneath the upper chopstick, providing support to it. Get comfortable and try not to drop them on the ground. With your ring and pinky finger providing support to the bottom chopstick. And middle finger providing support to the upper chopstick. 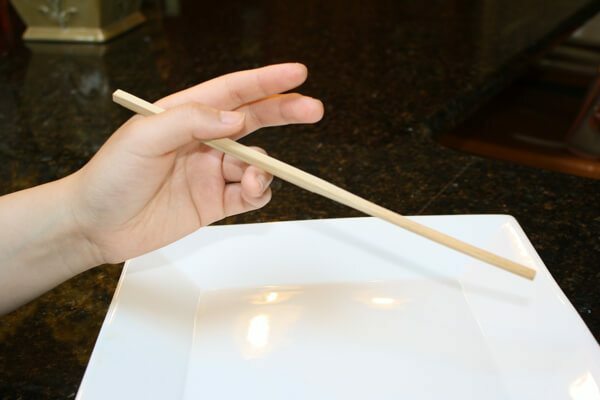 Use your index finger to move the upper chopstick up and down in a way that it can touch the tip of the bottom chopstick. But make sure it’s touching just the tips because you are not ready yet. 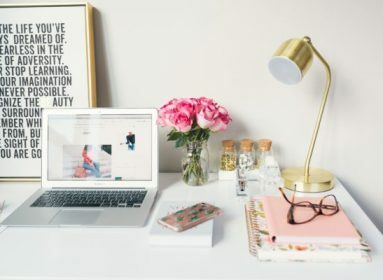 You know the basics now, which is certainly not enough to be like Mr. Miyagi. So just practice, practice and practice until you learn how to use chopsticks to catch fly mid-air. 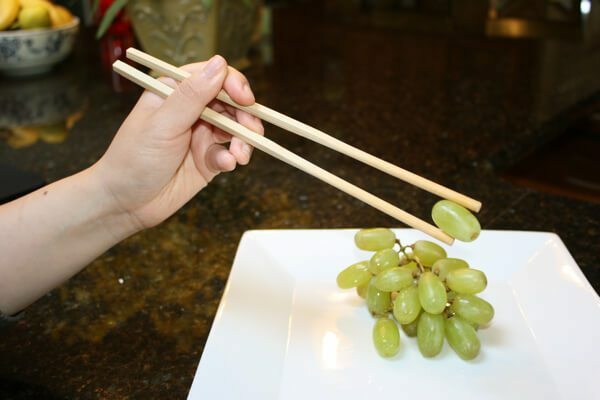 Using chopsticks is an art, I would have never known this without Mr. Miyagi. Don’t rush, you can’t be like Mr. Miyagi in just one try. 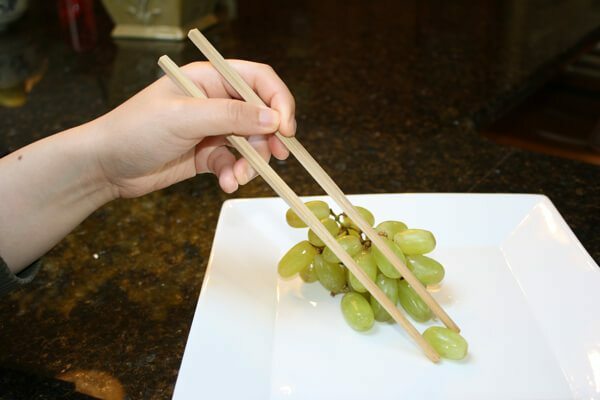 Start with easy food, try to hold grapes and marshmallows with your chopsticks. Then, make your way up to catch a fly. Keep calm and use your chopsticks. So that one day, you’ll be able to catch a fly or a bullet in mid-air.